Atlanta, GA - November 16, 2009. Coca Cola's new aluminum bottles on sale at The World of Coke Museum. 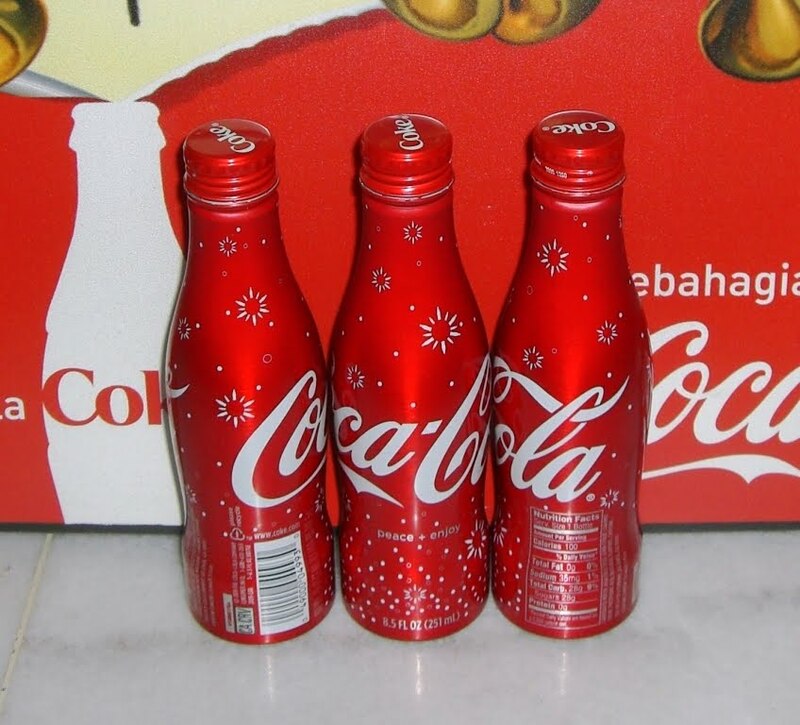 This was the first ever UK aluminum coca cola bottle. 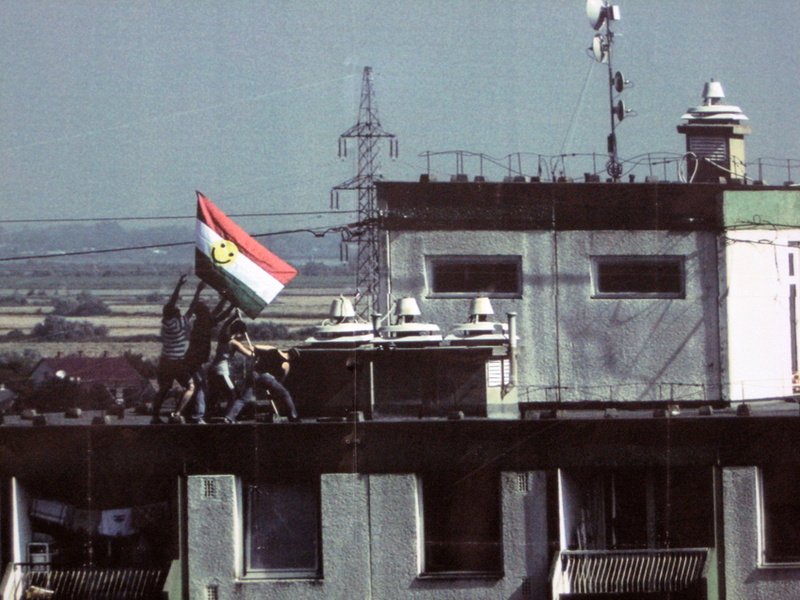 Released to celebrate the Peace One Day celebrations 2 years ago. This bottle is now becoming increasingly hard to find. 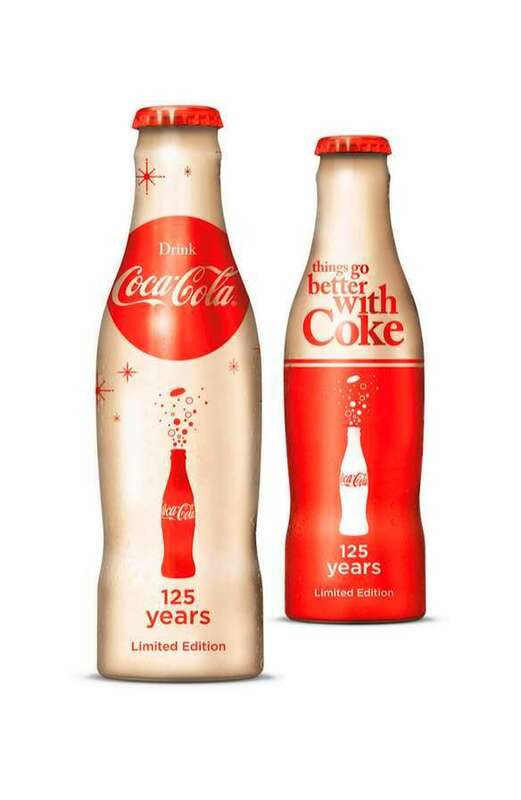 Coca-Cola is introducing the 'Peace' bottle to celebrate 'Peace Day' (21st September). Created to raise global awareness, the limited edition aluminium Contour bottle features simple Peace One Day graphics, which effectively communicates the Peace One Day message - quite simply, a global day of peace and non-violence. 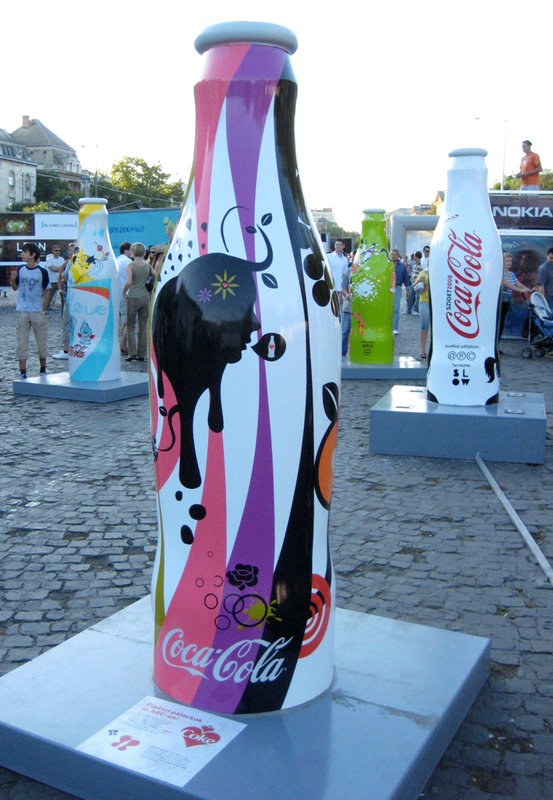 The 'Peace' bottle is inspired by the spirit of optimism and encapsulates the positive values and vision of both Peace One Day* and 'Coca-Cola'**. 'Peace Day' is an annual day of global ceasefire and non-violence supported by all member states of the United Nations. 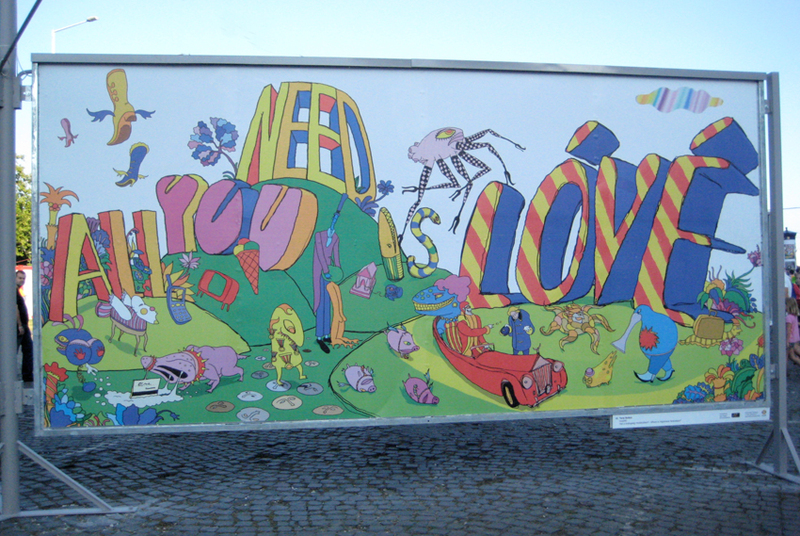 The 2007 Peace Day will see people around the world taking part in positive initiatives. On Peace Day 21st September 2006 there were reported activities in 200 countries, directly involving 27.6 million people; The World Food Programme dropped food aid in Southern Sudan, The International Rescue Committee reunited a child soldier with her family in the DRC and Start Syringe immunised thousands of children across the world on the day. "Peace One Day is a fantastic cause. We are proud to be in a position to help raise global awareness and support with the introduction of the 'Peace' bottle and hope the collaboration encourages people to embrace the positive steps we can all make to create a better world." "Our goal is to take the message of Peace Day to the world's people. 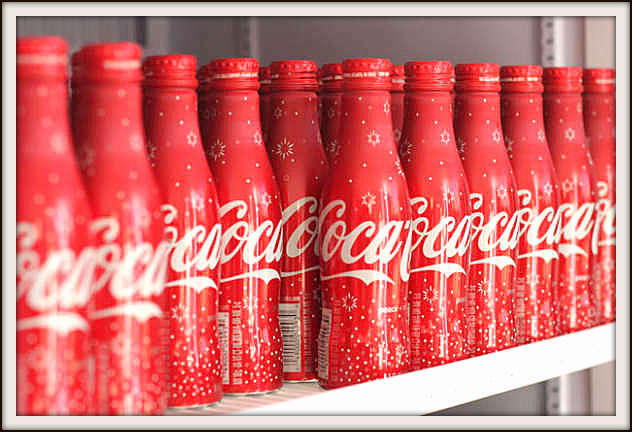 To have the support of 'Coca-Cola' to help us achieve that is incredible. The role of corporations is crucial in helping us to unite the people of the world on 21st September, and I'm grateful that 'The Coca-Cola Company' has chosen to use its most powerful asset, its iconic contour Bottle, to take our 'call to action' to the people - "What will you do to make peace on 21st September?." Jeremy Gilley founded peace One Day in 1999 with a primary objective to create an annual day of global ceasefire and non-violence with a fixed calendar date. In 2001, United Nations General Assembly resolution (A/Res/55/282) was unanimously adopted by UN member states, formally establishing an annual day of global ceasefire and non-violence on the UN International Day of Peace, fixed in the global calendar on 21 September - Peace Day. The international film project Peace One Day promotes the worldwide, annual observance of Peace Day 21 September in accordance with the UN resolution (A/Res/55/282). Like everyone of good will, what we also want to see in the communities in which we work is peace, which is why we support Peace One Day. ATLANTA, February 4, 2010 - Diet Coke and Heidi Klum are joining forces once again. 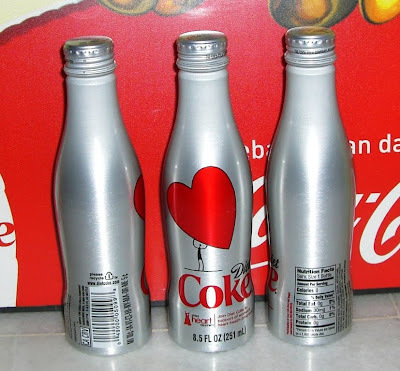 For the third consecutive year Diet Coke is partnering with Klum and the National Heart, Lung, and Blood Institute (NHLBI) in a national heart health awareness campaign called The Heart Truth. To bring heart health into the spotlight during February, American Heart Month, Diet Coke will distribute special limited-edition packaging in support of the campaign. For her part, Klum will return to the runway for the Diet Coke sponsored Red Dress Collection Fashion Show on February 11, the popular kick-off to Mercedes-Benz Fashion Week in New York. "The Heart Truth movement is near and dear to my heart, and I'm honored once again to join Diet Coke as their ambassador for the program," said Klum. "This year I want to inspire even more women and their families to make choices that promote stronger, happier and healthier hearts." Diet Coke packaging will have a new look in February. The limited-edition packaging will graphically depict one person's journey from heart health awareness to empowerment to advocacy. 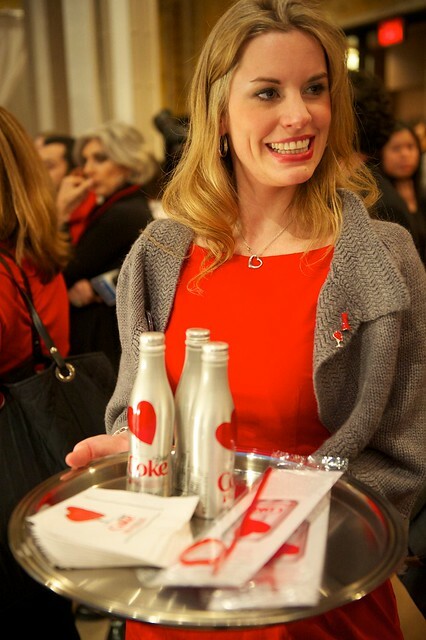 The Heart Truth's Red Dress logo will also appear on more than 6 billion packages of Diet Coke throughout the year. "The Heart Truth campaign celebrates healthy lifestyle choices, which have become increasingly important to Diet Coke consumers. In the third year of our partnership with the NHLBI, we are proud that we can continue to play an important role in this educational conversation," said William White, Brand Director, Diet Coke North America. "One of the tips from NHLBI is to maintain a healthy weight. Incorporating regular physical activity into your routine is an essential approach to maintaining a healthy, balanced and active lifestyle. And with no calories and great taste, Diet Coke is not only an excellent choice for managing calorie intake, it also provides refreshment and hydration that helps our consumers be their best throughout the day." The Heart Truth campaign has helped raise awareness that heart disease is the #1 killer among women to nearly 70 percent compared with 34 percent in 2000 before the campaign was first introduced. Diet Coke will bring The Heart Truth messages to consumers at a unique pop-up event in Los Angeles. The event will draw people by providing a fun experience where visitors will receive advice from registered dietitians and other health experts on diet, staying active and being heart healthy. Free heart screenings will also be available. More information will be available on DietCoke.com. This bottle celebrating the merger of CCE and Coca Cola North America,probably won't find them at local grocery store. It given to employees during the meetings following the approval of the merger. Limited Edition, Made of Aluminum. Los Angeles -- Diet Coke and Heidi Klum joined forces on February 1 to raise awareness and funds for women's heart health education and research. February is American Heart Month, and for the fourth consecutive year, Diet Coke is partnering with the National Heart, Lung, and Blood Institute to support The Heart Truth® campaign. This year, Diet Coke has created a national game of "Capture the Flag," inviting people to visit DietCoke.com/HeartTruth where they can capture flags with a click of the mouse to trigger a donation from Diet Coke to heart health programs. Heidi Klum and Diet Coke launched the campaign yesterday at an all-star, first-of-its-kind "Capture the Flag" game in Los Angeles. Two teams faced off at the University of California, Los Angeles' (UCLA) Drake Stadium. The teams were playing to raise funds for two heart health organizations: UCLA Preventative Cardiology Program and the University of California, Davis Women's Cardiovascular Medicine Program. "Capture the Flag is such a fun game, so when Diet Coke asked me to join the team, I was in!" said Klum. 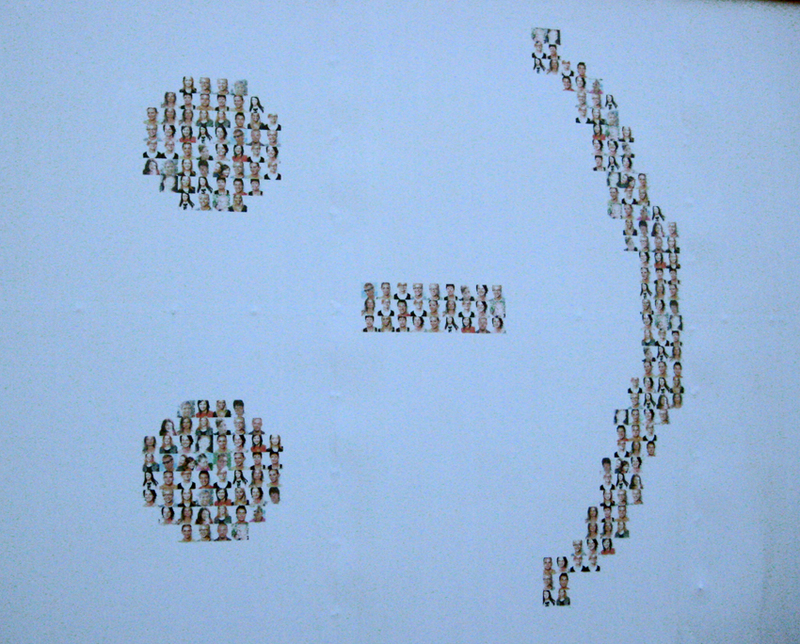 "It's simple for anyone to participate: go online, capture a flag, and you've raised money. Capture more flags. Raise more money. It's that easy." Chelsie Hightower, Natasha Bedingfield and Ryan Kwanten were also on the sidelines along with the Laker Girls to support the teams and the cause. 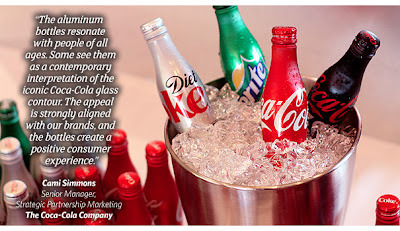 "Diet Coke is a passionate supporter of The Heart Truth® campaign. This year we're offering people more ways than ever to participate. We invite everyone to join us by going online to capture flags and help raise awareness and funding for heart health programs," said William White, Group Director, Coke™ North America. "We're dedicated to encouraging new generations of people to be active, stay extraordinary and become advocates for heart health." The Heart Truth® campaign has made great strides in raising awareness about the need for a healthy heart, but heart disease is still the number one killer among women. Together, Diet Coke andThe Heart Truth® campaign will continue to wave a flag with the hope of motivating women to take action for heart health. "Partnering with Diet Coke provides an opportunity to place The Heart Truth® message into the minds and hands of millions of women across the United States," said Ann Taubenheim, Ph.D., M.S.N., Project Director for The Heart Truth® campaign. "The resources and support that Diet Coke has committed to The Heart Truth® help educate women about the seriousness of heart disease and the ways they can incorporate heart healthy habits into their lifestyles." World’s Largest and Most Revolutionary Cruise Ship Oasis of the Seas introduces unique industry “firsts” including a neighborhood concept – seven themed areas providing guests with the opportunity to seek out relevant experiences based on their personal style, preference or mood. Within these seven neighborhoods – Central Park, Boardwalk, the Royal Promenade, Pool and Sports Zone, Vitality at Sea Spa and Fitness Center, Entertainment Place and Youth Zone – are extraordinary elements such as the first park at sea, a thrilling zip line that races diagonally nine-decks above an open-air atrium, an original handcrafted carousel, 28 multilevel urban-style loft suites boasting floor-to-ceiling windows, an aquatic amphitheater – called the AquaTheater that serves as a pool by day and a dazzling ocean front theater by night; and an array of epicurean innovations that allow for new culinary experiences each day of a guest’s cruise vacation. 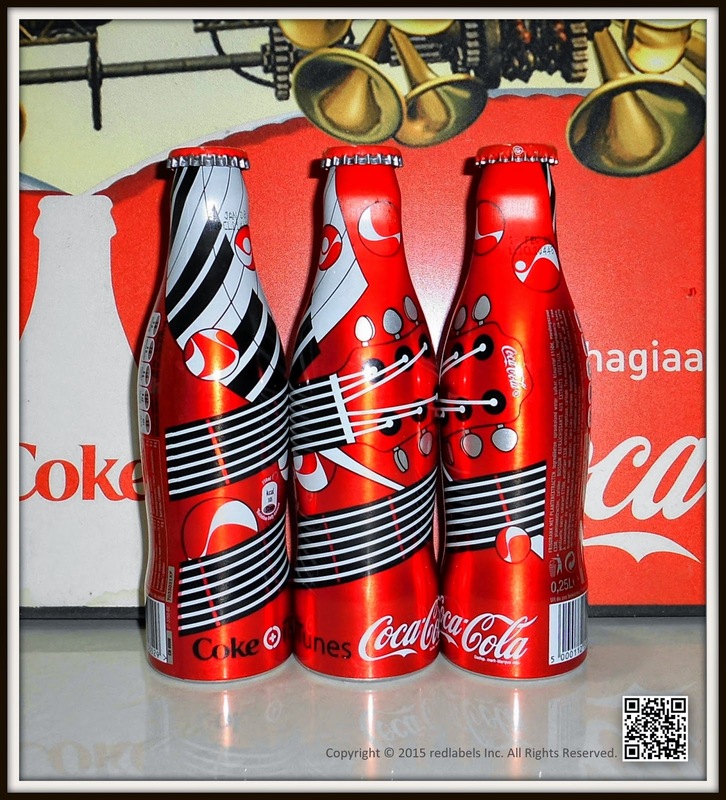 A SET OF FOUR 2010 WORLD CUP ALUMINIUM COKE BOTTLES WHICH WERE GIVEN OUT BY COCA COLA AT THE MCDONALD'S WORLDWIDE CONVENTION IN FLORIDA IN APRIL, 2010. 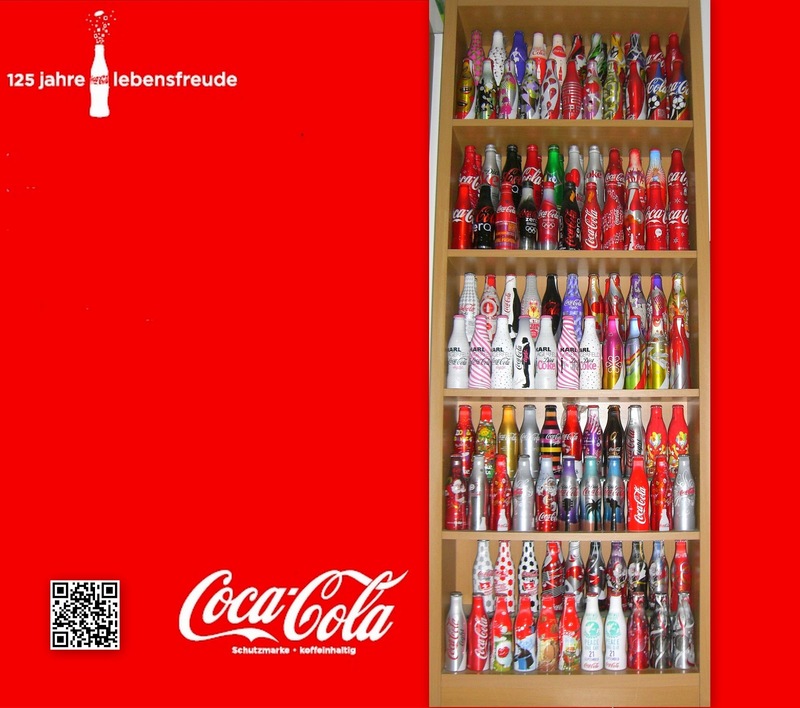 THE BOTTLES COME IN A BOX PRINTED WITH 2010 FIFA WORLD CUP AND A MCDONALD'S LOGO ON IT. NEW YORK: Coca-Cola Recycling is making green the new black with a recycling programme at the Mercedes-Benz Fall Fashion Week Fall 2009 Collections. Fashion devotees attending the shows will be encouraged to “Give it Back” by recycling their used bottles, cans, glass, aluminum, plastic, and cardboard. More than 25 recycling bins bearing the “Give It Back” logo will be placed throughout the complex in Bryant Park including the lobby, hospitality lounges and backstage areas during Mercedes-Benz Fashion Week Fall 2009 Collections from 13 - 20 February. Coca-Cola Recycling worked with New York recycler, Boro Recycling Inc., to establish a recycling program to meet the needs of the more than 100,000 attendees during the eight days of shows, events and activities. Boro will be making multiple pick-ups onsite each day to ensure a smooth operation. The collected materials will then be sent to recycling processors throughout the northeast to be reused in new products. Coca-Cola Recycling estimates that 11,000 thousand pounds of recyclables will be collected during this effort alone. Created to reinforce brand appeal of the iconic Coca-Cola contour bottle shape, generate consumer excitement and enhance sensory appeal, the successful Coca-Cola aluminum bottles represent a powerful blend of award-winning design and savvy marketing. They began as pop art. 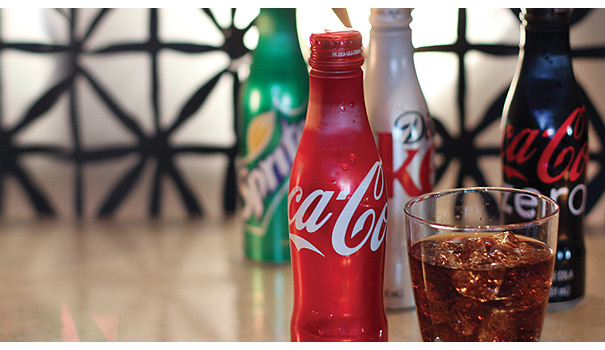 The sleek aluminum bottles of Coca-Cola®, Diet Coke®, Coke Zero® and Sprite® that have been making waves with guests in full-service IHG hotels over the past two years started off as a marketing initiative and packaging experiment. 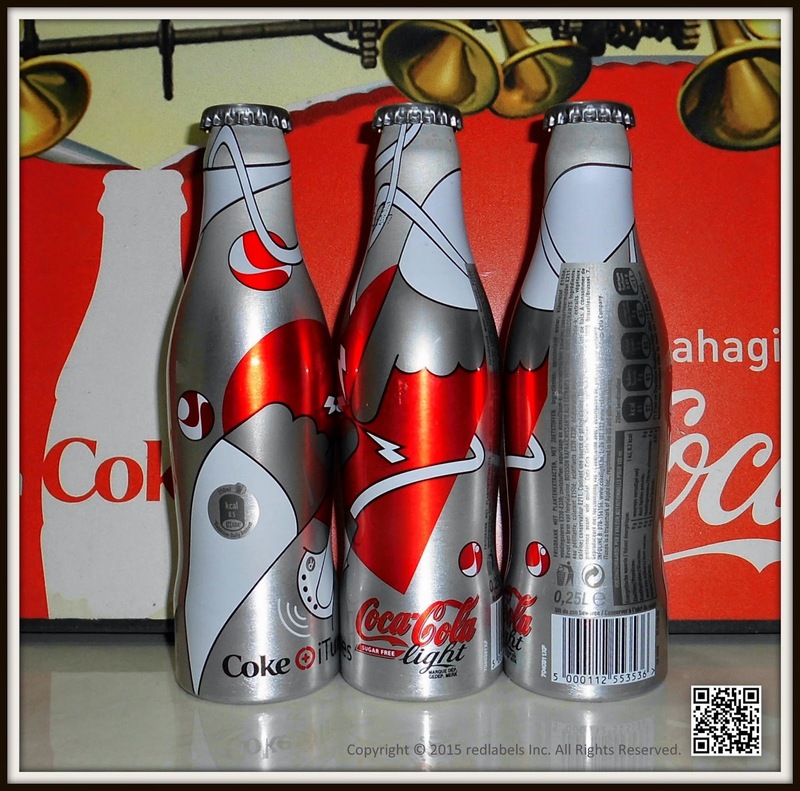 The Coca-Cola Company created its first aluminum contour bottles in 2005 as a hip collector’s item aimed at trendsetting young adults in Europe and other major markets outside North America. 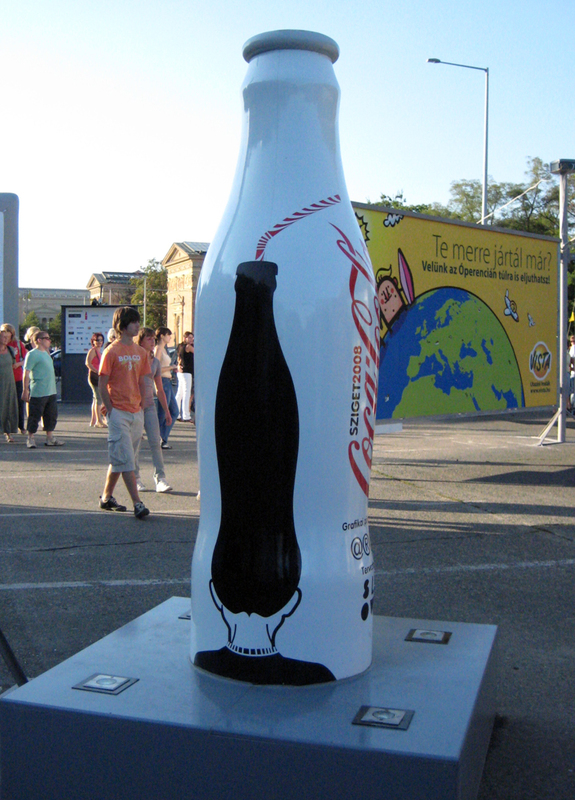 While “straight-wall” aluminum bottles had been used by a few other beverage brands, Coca-Cola was the first to work with bottle manufacturers to develop a fully shaped aluminum body. Studios from around the world were commissioned to create five exquisite designs for the aluminum printed bottles–dubbed M5 for “the magnificent five”–using special inks that illuminated under black light. 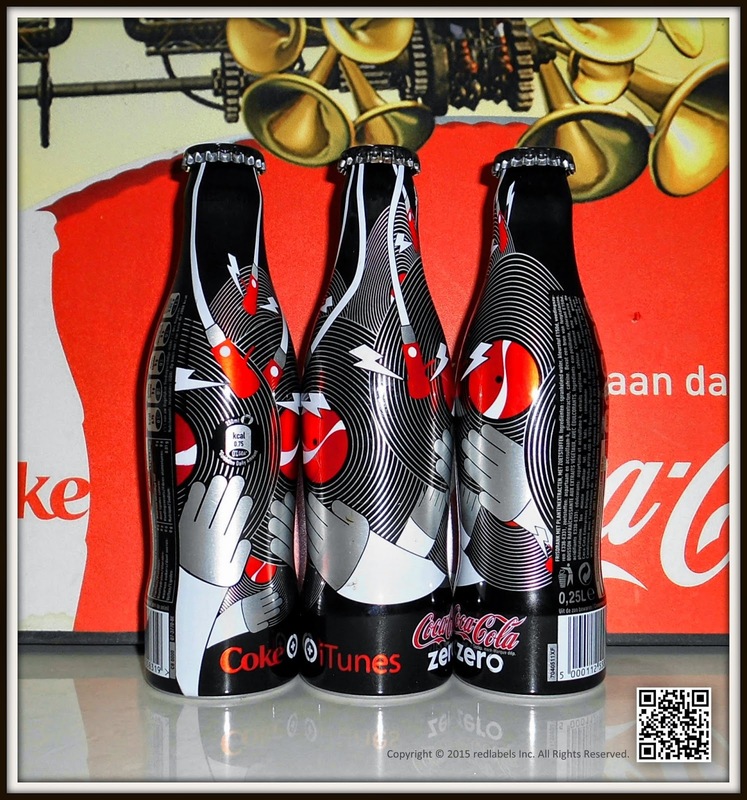 The bottles were launched into the nightlife channel, with accompanying video, music and other marketing, and were positioned as a limited edition to increase their premium cachet. 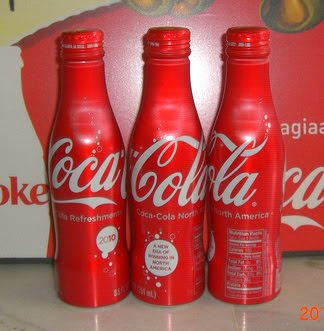 The Coca-Cola strategy on this side of the pond was similar to the global introduction of the unique new package: to reinforce brand equity and the “badge value” of the iconic Coca-Cola contour bottle. The launch here centered on the company’s four core trademark brands, with the goal of driving consumer interaction and experience with the product versus taking the “collectibles” approach used for the M5 versions. The bottles are resealable, 100 percent recyclable and, at 8.5 ounces, smaller than standard cans and bottles, helping fill a consumer desire for a smaller serving size. They also command a premium price, further allowing operators to boost beverage revenues and maximize profitability. Coca-Cola and IHG are developing a turnkey kit, to be rolled out this fall, for hotels to use in merchandising the aluminum bottles. “The kit will provide ideas for effectively displaying the packaging in a variety of outlets–as part of a signature catering break, at poolside, in the bar and in the minibars. It will also include some Coke-themed specialty items, such as coolers,” Cami says. The unique new packaging continues to be in the news and in the spotlight, showing up in media coverage of such celebrity-studded events as the New York Food & Wine Festival, Mercedes Benz Fashion Week, American Idol and throughout the West Coast film and television industry awards season. 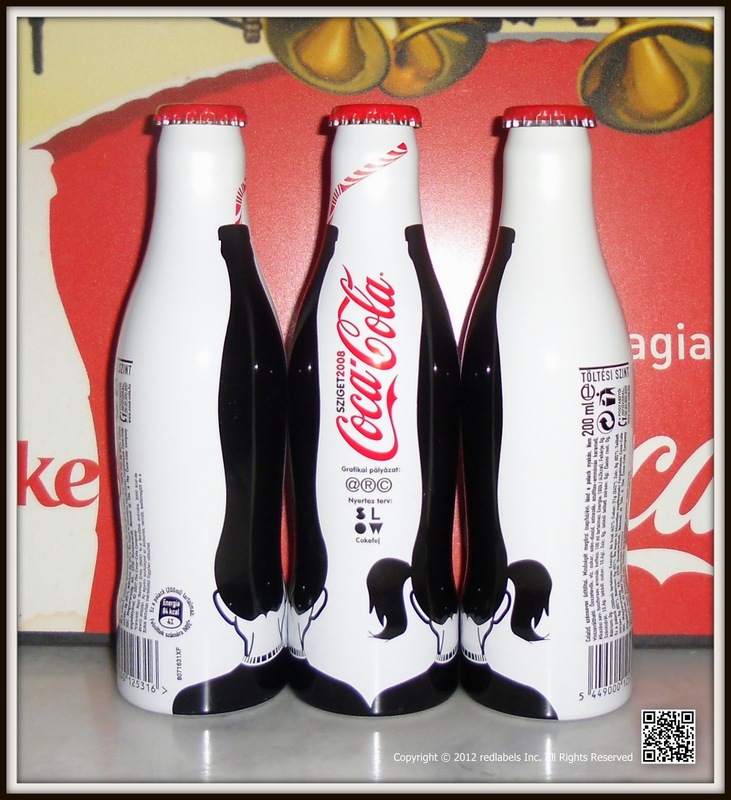 This 8.5 fl oz bottles of Coke was distributed on Feb 28, 2011 at the Italian chain restaurant called " Autogrill". They were distributed in a very limited supply till Apr 30, 2011 or while stock last. Available for a Hungarian music festival. 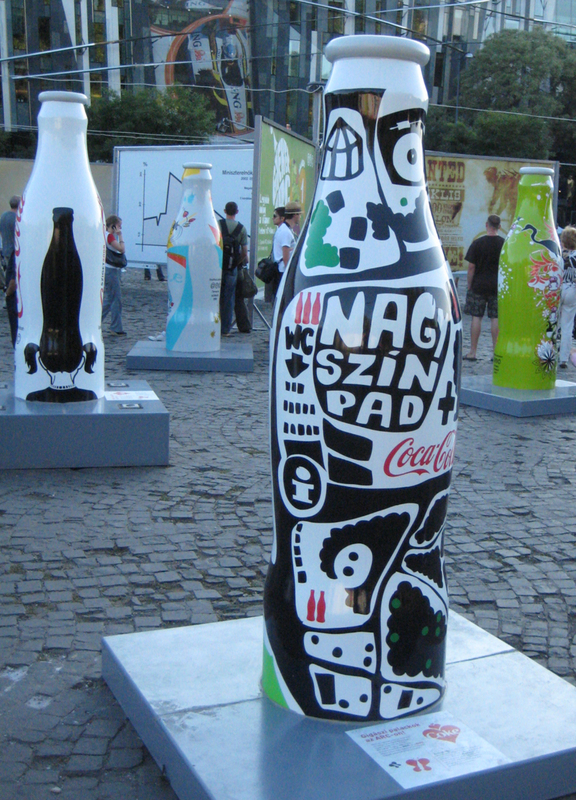 Coca-Cola planned a special Hungarian alupalackja the Island. 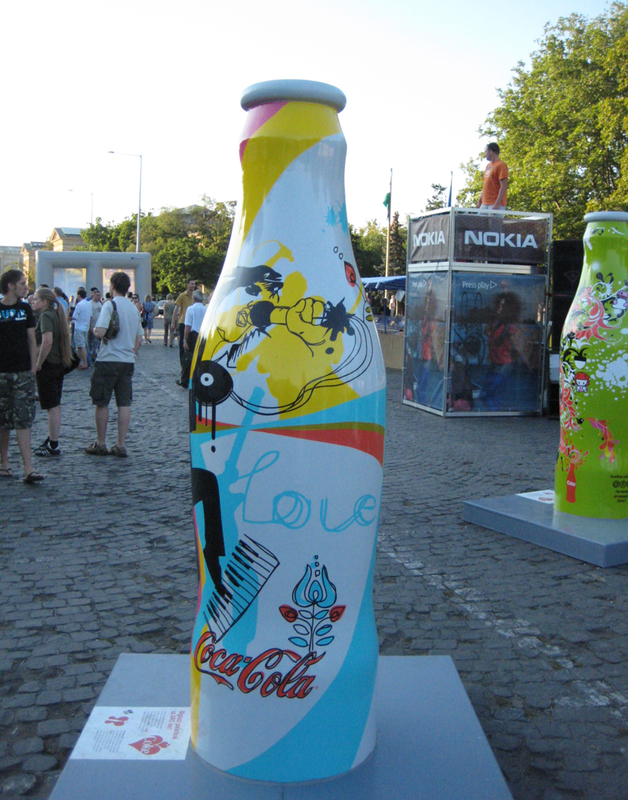 Introducing the first home-designed aluminum Coca-Cola bottle limited 30,000 items, only available in a special edition of Sziget festival collaborated with a young Hungarian graphic artist, Szentmihályi Daniel @ aka SLOW creation. 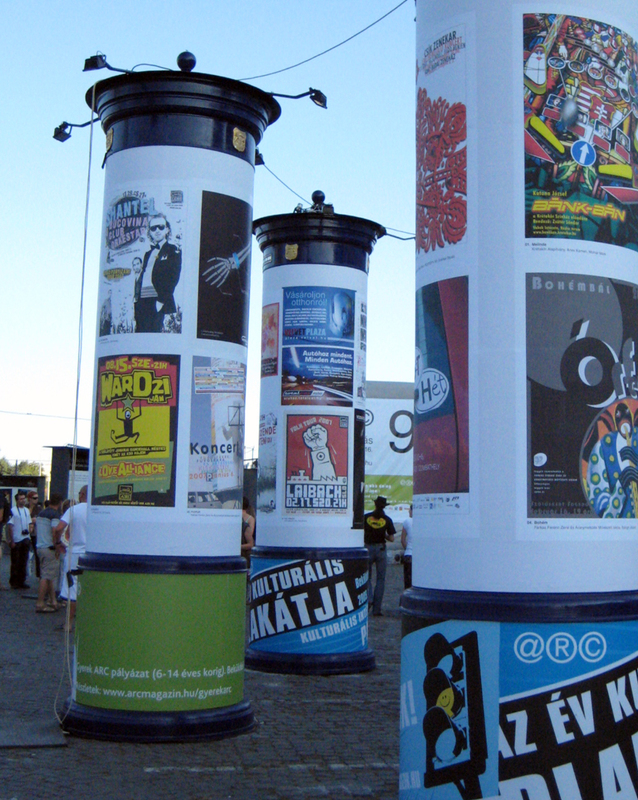 In early summer, the company organized an exhibitions in public spaces ,known as ARC (Art Services Ltd.) as a professional partner from competition for the first Coca-Cola Hungary alupalack design. 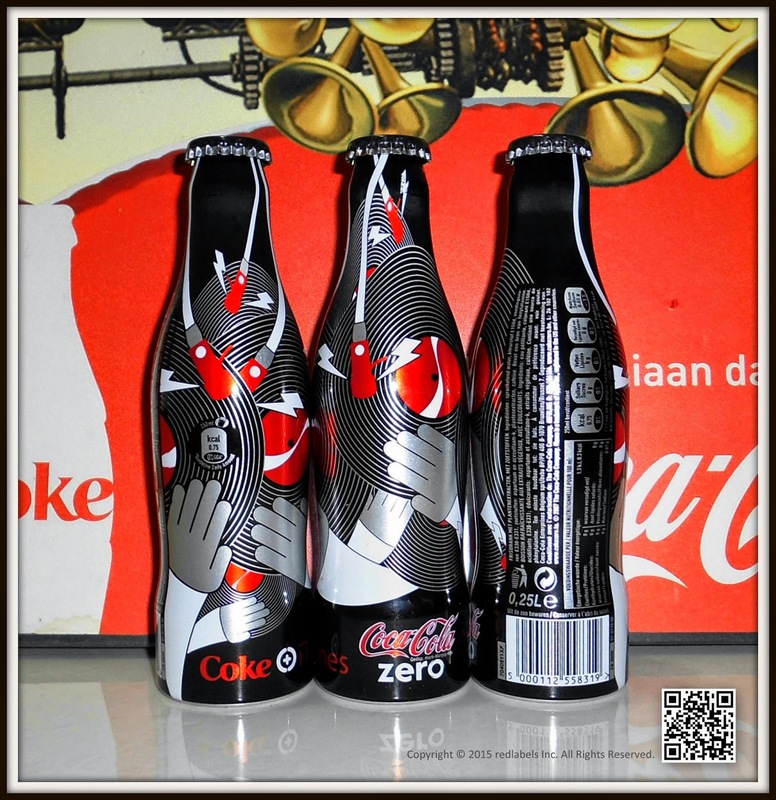 The ten candidates invited to the free hand only had to pay attention to graphics, 3-3 connect the island spirit and Coca-Cola brand. 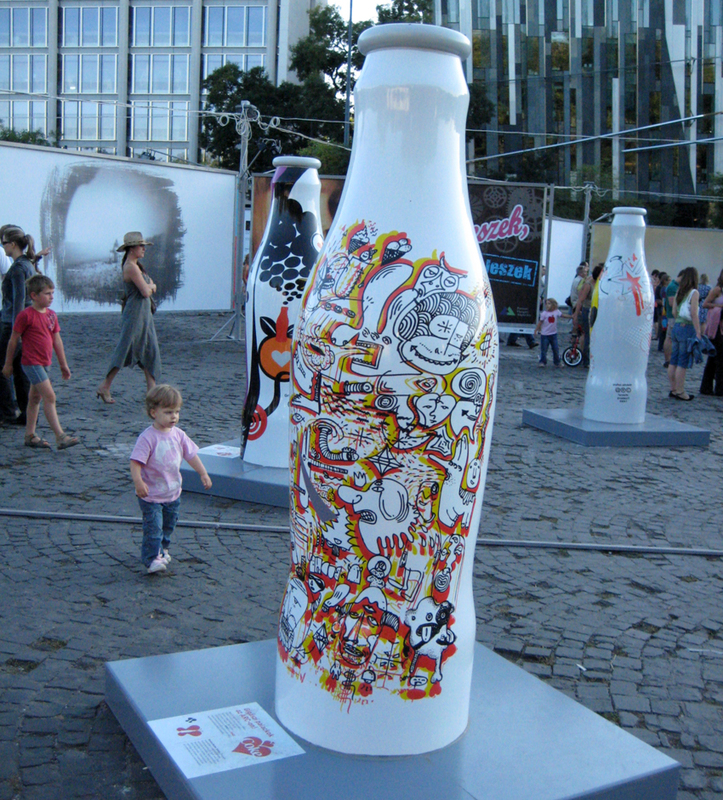 The ARC had many accolades collection includes a number of exciting artists with custom designed bottle concept. The Coca-Cola Hungary and ARC staff selected the main prize at the competition- Coca-Cola & Island Special Edition Designer. 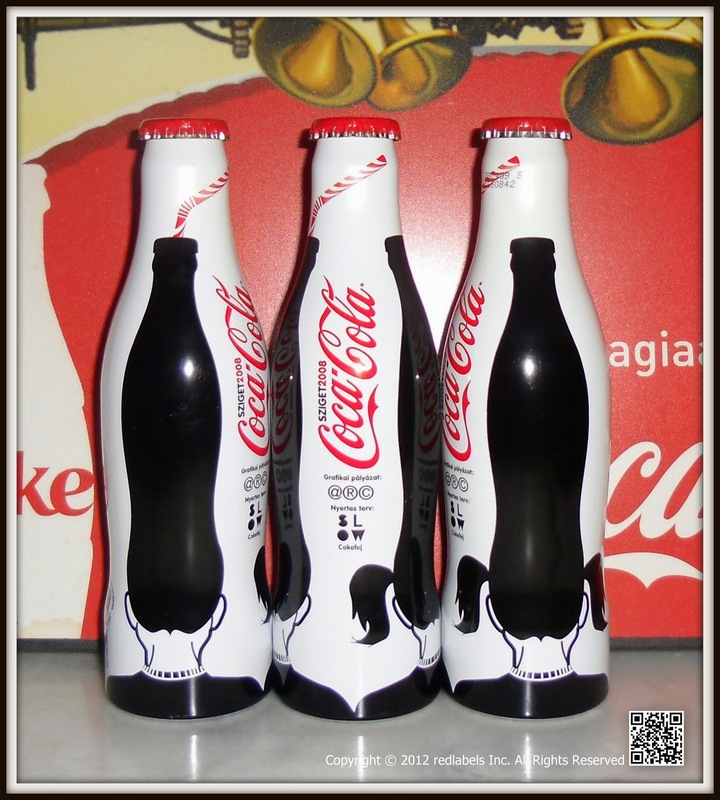 Finally, the jury votes against SLOW minimalist creations found to be the best: the contrast, black-and-white composition of an exciting, refreshing straw color in the red and the Coca-Cola label. "I did not want to emphasize any public places, tents or draw young people having fun ," said Daniel Szentmihályi. "Today most of the products you want to show more than that. 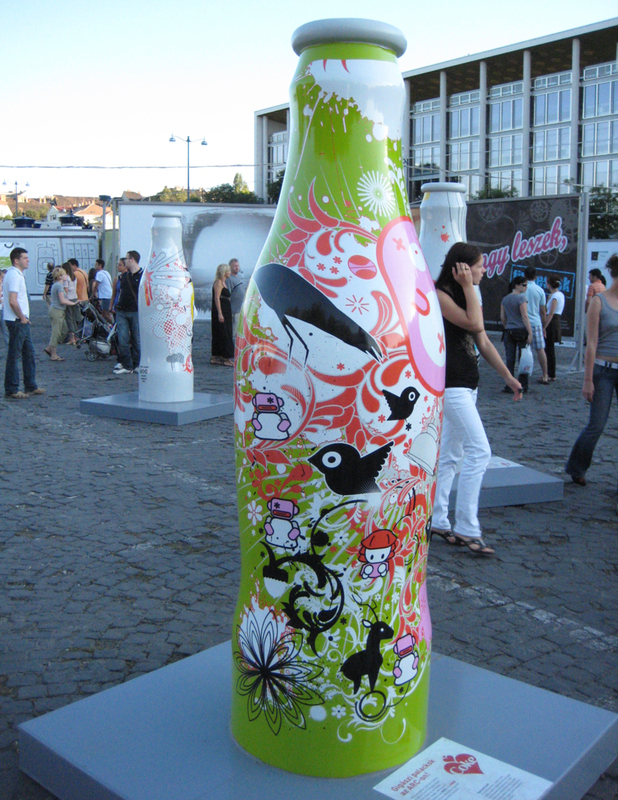 This bottle is not, so I chose one of the main prize in the motif kontúrpalackot itself. 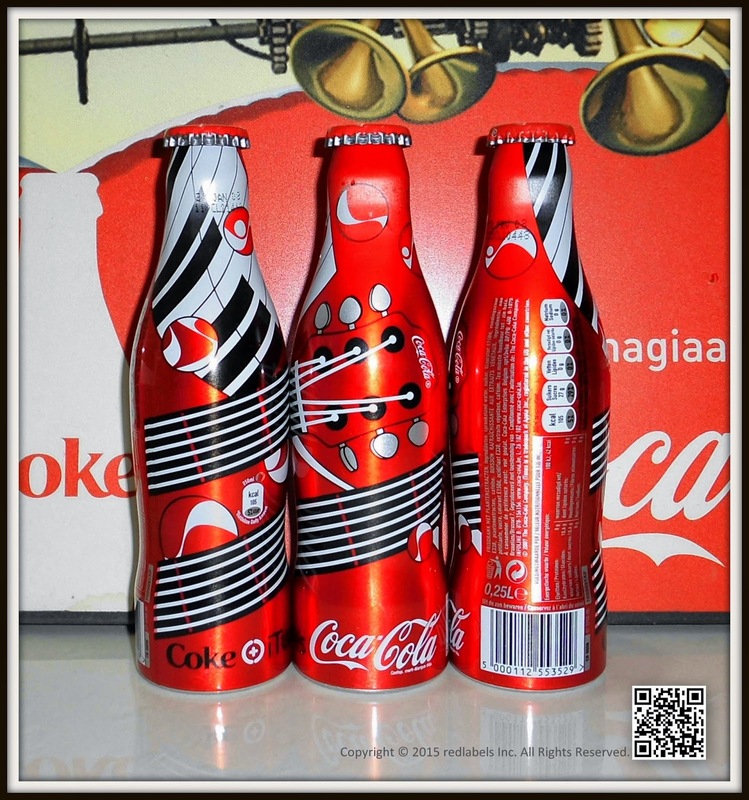 I tried to condense a single strong motif Island, Coca-Cola is all about. Simply combining the two, the audience Island and the bottle. I feel this is the best among three prizewinners, and I am very pleased that the jury agreed with me. " 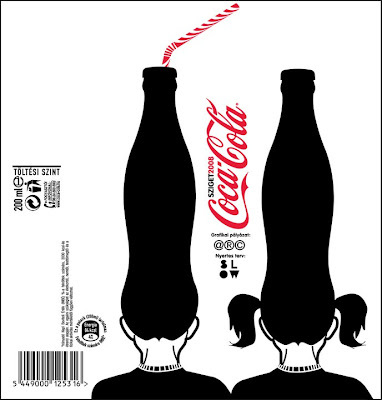 The "Coke-heads" that is, the cylinder head boy and girl motif recurring element of the festival: Exclusively for every visitors in the Island. Started 13 August, A six-foot replica of the Terrace - For those Who want to look the artwork more closely. It is the latest Coke Alu bottle in Hungary. 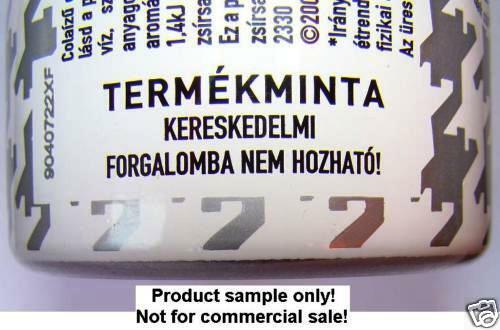 Available only for promotion , that's why u couldn't find any barcode on the bottle. Not available in shops, bars & club! USE brand, which is one of today's domestic generation of young designer, founded in 2005, has been successful in both domestic and foreign market. For many years involved in international remarkable success with innovative thinking and artistic vision of the eternal value of every six months, renewable fashion world. The brand is a key objective of a high-quality, affordable design was established, which could be a perfect complement to today's modern metropolitan women everyday life. USE philosophy based on the innovative field of thought, artistic vision and thought is given. This is guaranteed to have the courage to question and be able to rewrite the surrounding reality. In this context, the ongoing re-creators of the classic back to the decades of divattörténet in'40, in'50,'60, created by the designer's forms filozófiákhoz, and they are updated, match today's trends. This bottle was never available at stores. There was a large house party at Lake Balaton during that summer. This bottle was distributed as door gift to all the visitors. 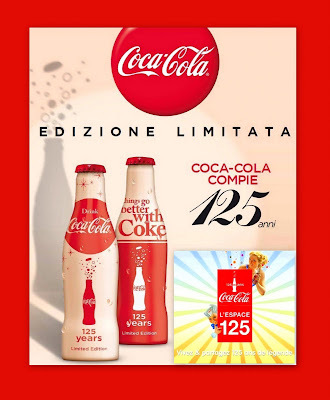 Coca-Cola announced that it is teaming with iTunes on Europe's biggest music promotion ever, spanning 17 European countries and running from May until the end of August. 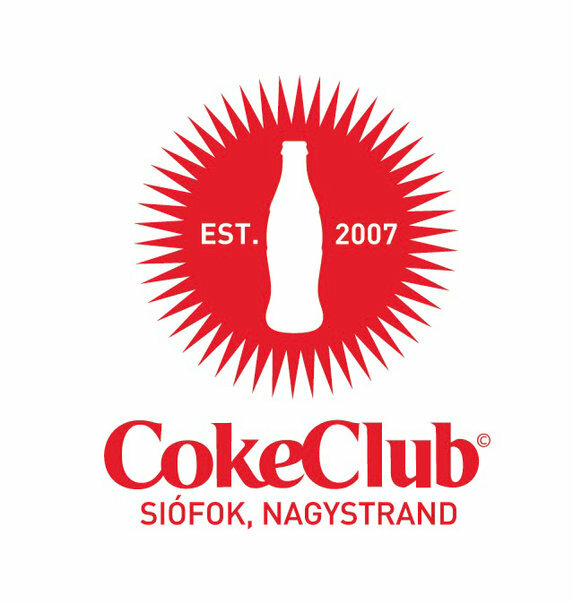 As part of the promotion, Coke and iTunes will give away songs from the iTunes Store (www.itunes.com) in over 2 billion promotional packs of Coca-Cola, Diet Coke and Coke Zero this summer. The on-pack promotion will also offer customers the chance to win free iPods and attend some of the 100-plus Coke and iTunes sponsored summer concerts across Europe. 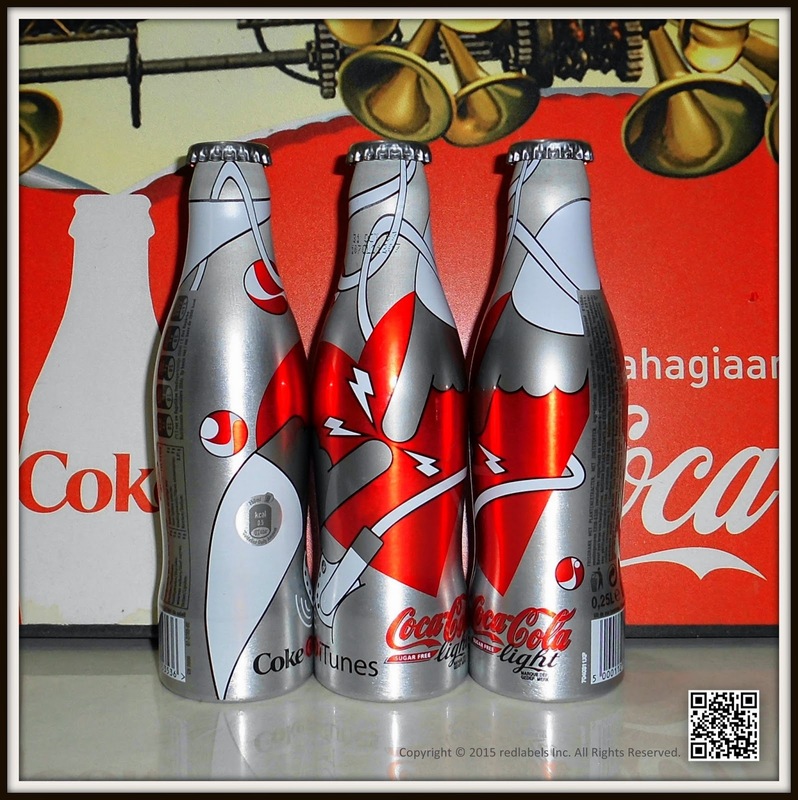 The promotion will be launched at the Cannes Film Festival with a special live performance from Faithless, who have recorded an exclusive track for Coke and iTunes and collaborated with designers Paranoid on a limited-edition, aluminium Coke bottle. The Coke and iTunes summer concerts will see big name headline acts playing with newer acts from Coca-Cola's grassroots programme that allows undiscovered artists to upload their music on Coke's website (www.coke.com/music). All of the concerts will be recorded and made available as downloads and podcasts exclusively on iTunes. Previous co-branded concerts have included Elisa (Italy), The Fratellis (Denmark), The Rapture (Ireland) and Deichkind (Germany). The 17 countries where the concerts will take place are: Austria, Belgium, Denmark, Finland, France, Germany, Greece, Ireland, Italy, Luxembourg, Netherlands, Norway, Portugal, Spain, Sweden, Switzerland, and the UK. With Apple's legendary ease of use, pioneering features such as integrated podcasting support, iMix playlist sharing, seamless integration with iPod, groundbreaking personal use rights and the ability to turn previously purchased songs into complete albums at a reduced price, the iTunes Store (www.itunes.com) is the best way for PC and Mac users to legally discover, purchase and download music and video online.